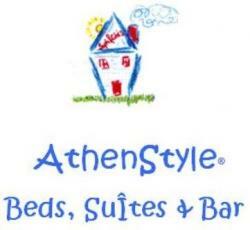 Events in the city – Athens 25 to 29 November 2010… whatssup!? 25 November “Thriller Night Party” Candybar hosting the best party in Athens.Imaginative DJs, fantastic shows & unique events will take place. “De Niro” The famous band from north-Greece comes to Athens for Rock-Pop-Alternative live nights. 26 November “Onirama, Mironas Stratis, Mark Angelo feat Shaya An impressive new live club hails the princes of greek pop music. Place: Gazoo Athens 11:00 p.m.
“SwingShoes & Sugahspank” Two guitars, one violin, one contrabass and four musicians play jazz, bossa nova, gupsy swing music and blues. Admission: 7 euros Place: Rouf Adress: Kostantinoupoleos 10 & Andronikou 18, Gazi 10:00 p.m.
27 November “Swing Bar –Mikee & Jimk” A project with a reason of existence devoted to the underground dance scene. Place: Swing Bar Address: Iakhou & Evmolpidon 8, Gazi 12.00 p.m.
28 November “YOU SAY PARTY” The band from Canada come to our country for a unique dance-soul punk night on Gagarins stage. With them also the Callos Admission: 22 euros Place: Gagarin 205 Address: Liosion 203-205 9:00 p.m.
30 November “SOCIALISTA-AHAS” Place: Socialista Adress: Triptolemou 33, Gazi, Athens 9:30 p.m.